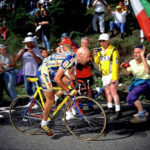 The auction was in Ravenna on November 17th and according to reports in the Italian press, one hundred Pantani fans attended an auction. 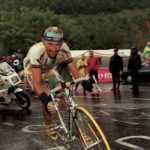 Pantani rode the yellow and celeste Bianchi (serial number H 314-74) in the famous July 27 Grenoble—Le Duex Alpes stage of the 1998 Tour de France. He attacked Jan Ullrich on the Galibier climb and won the stage, taking the race lead. He went on to win the Tour in Paris ahead of 2nd finisher Ullrich and 3rd Bobby Julich. 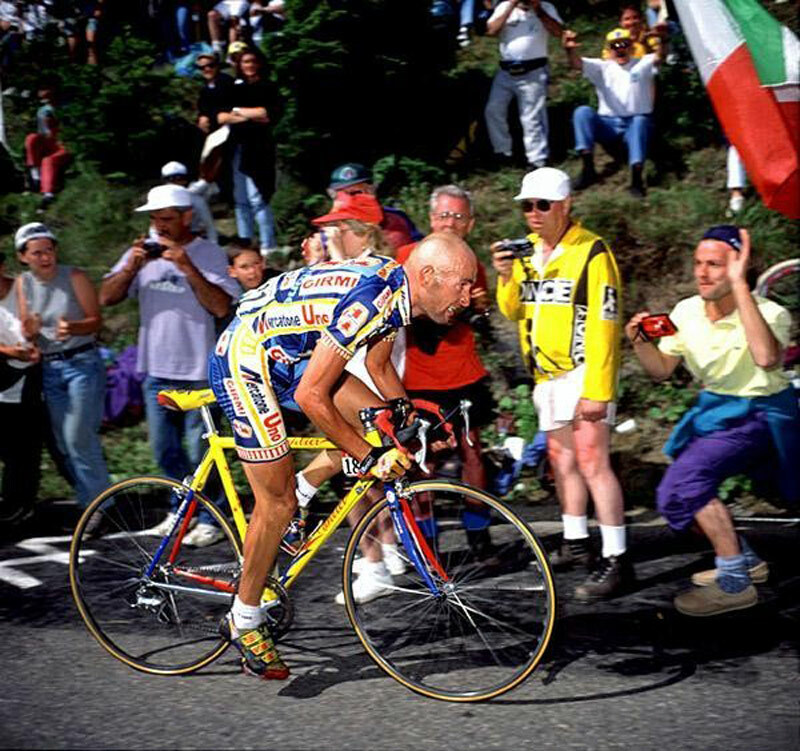 “Il Pirata” used the Wilier Triestina (serial number 962475) bike when he won the L’Alpe d’Huez stage during the 1997 Tour de France. This bike sold for 8,000 Euro. 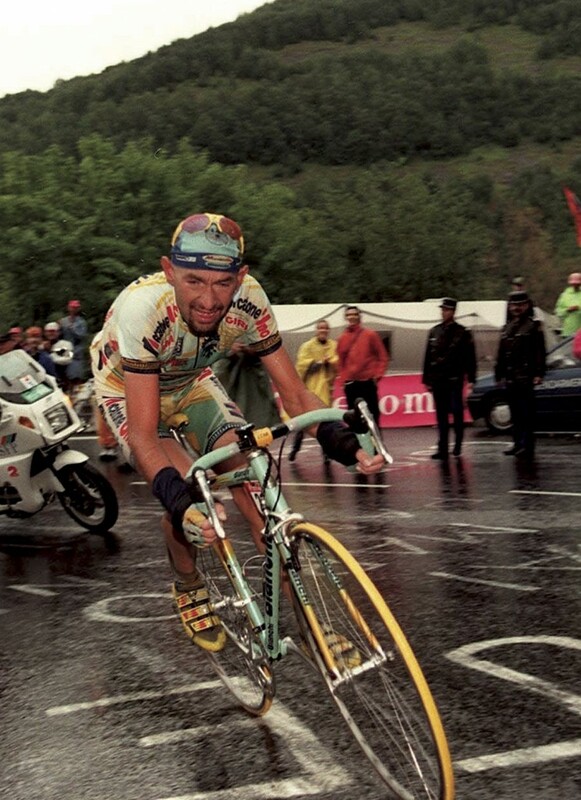 Marco Pantani climbing L’Alpe d’Huez, 1997 Tour de France.